New Zealand’s largest city is a gluten-free gem—and breathtaking to boot. When a destination perches at the top of my travel wish list for long enough, my imagination tends to run wild. My expectations often get unreasonably high, and meeting them can be nearly impossible. Like many people, I’d hoped to make the long trek to New Zealand for ages. Over time, I developed a mental image of the island nation as a sort of green paradise with the perfect mix of outdoor adventures, healthy food and welcoming cities. And you know what? My recent trip to Auckland exceeded my impossibly high hopes. From the welcoming locals and fascinating culture to the stunning landscapes and wonderfully fresh cuisine, Auckland delighted in every way. Situated on the northwestern side of New Zealand’s North Island, Auckland is the nation’s largest city. It’s located right on the Waitemata Harbour, and the city’s footprint includes several extinct volcanoes, so referring to Auckland as hilly is putting it mildly. With its lively waterfront area, dynamic downtown and funky outskirts, however, it’s easy to fall for this hilly city. On a sunny day, the Viaduct Harbour (formerly known as Viaduct Basin) is a prime place to start exploring Auckland. This waterfront area is usually buzzing with activity, thanks to the numerous ferry terminals, restaurants and other attractions. Spend an hour or two at the New Zealand Maritime Museum, where you can soak up the nation’s storied seafaring history, and then grab a seat along the waterfront to watch the ships pass by. Wander a few blocks inland to Auckland’s Britomart neighborhood, and you’ll find Little Bird Unbakery tucked away amidst shops and cafés. This small spot serves up a range of gluten-free, raw and vegan treats. The menu focuses on healthy, fresh food, with highlights like veggie bowls, salads and raw granola. My favorites are the sweets, which, believe it or not, are both healthy and decadently delicious. I could have eaten several slices of the absolutely divine raw passionfruit cheesecake—and both the raspberry chocolate brownie and caramel slice were fantastic, too. 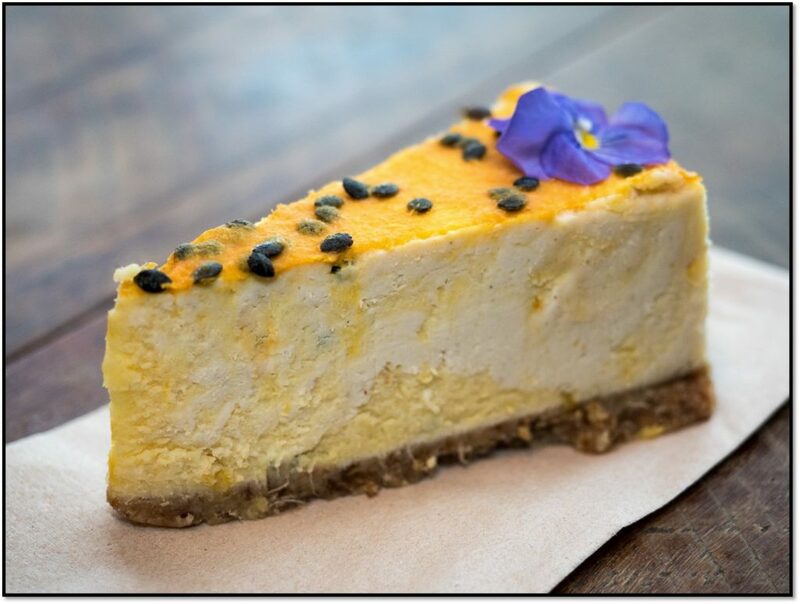 While you’ll find all the raw sweets and light bites you can handle at the Little Bird Unbakery, you should head to the Unbakery in Ponsonby for more space and a bigger menu featuring smoothies and hot local veggie plates. It’s just a short drive or train ride away from downtown Auckland, but hip Ponsonby offers a whole different world of food markets, coffee shops and trendy boutiques. Auckland is home to a wide range of historical attractions, but before you set out to explore, grab a quick breakfast and cup of coffee at Best Ugly Bagels. This spot specializes in Montreal-style bagels, which owner Al Brown discovered on a trip abroad. After his hand-rolled plain and poppy seed bagels quickly caught on in Auckland, he set out to perfect a gluten-free version. The gluten-free bagel, which comes topped with sesame seeds, is one of the best I’ve had anywhere. While you can pick up a to-go bag of bagels to enjoy during your stay, I recommend ordering one of Best Ugly Bagels’ sandwiches and indulging right then and there. 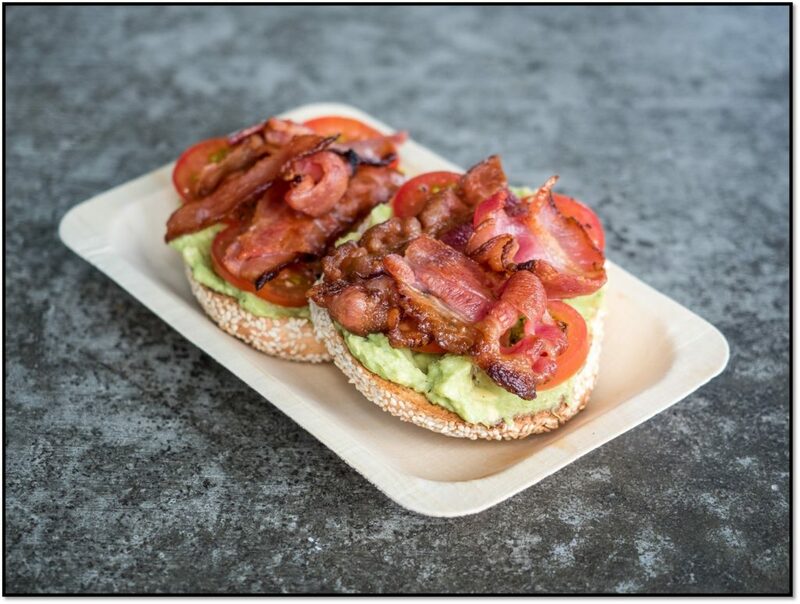 Try the bagel sandwich with avocado, tomato and free-range bacon, which offers the ideal taste combination of fresh, creamy and smoky. Or try the juicy and flavorful bagel sandwich slathered with cream cheese and topped with tomatoes, basil and black pepper. After fueling up, set your sights on the Auckland War Memorial Museum, with exhibitions covering much more than just battles. Don’t miss the first-floor displays, which highlight New Zealand’s endemic species of plants, wildlife and marine life. The museum’s collection of Maori objects is also a must-see, as it includes more than 1,000 treasures representing the major tribes from across the nation. You can also see stories of the 19th century New Zealand Wars and both world wars come to life through the museum’s interactive exhibits. If you want to get in a little exercise with your history, climb to the top of One Tree Hill, the largest volcanic cone in the Auckland area and home to significant Maori history. Located on the southern edge of the city, One Tree Hill Domain and adjacent Cornwall Park comprise the largest park area in Auckland. Sidestep the sheep nibbling on grass as you stroll through Cornwall Park and ascend One Tree Hill. Once the site of a key Maori fort, it now boasts a Maori memorial obelisk and stunning views of the surrounding area. You won’t be hard-pressed to find an inviting park in Auckland, but my personal favorite is the Auckland Domain. This sprawling green space contains the Auckland War Memorial Museum and is also home to several gardens, ponds and monuments. If you have only a short time to spend here, make a beeline for the Auckland Domain Wintergardens. This public garden occupies two glass houses full of both tropical and seasonal plants. Time your visit to the Wintergardens during spring in the Southern Hemisphere, and you’ll get to see gorgeous blooms in every color of the rainbow. If you can’t get enough of the lush greenery and the gorgeous blooms in Auckland, I don’t blame you. Hop in a car and head to the Auckland Botanic Gardens on the southeastern edge of town. Here you can walk amongst more than 10,000 plants as you explore more than a dozen gardens packed with beautiful perennials, roses, magnolias, ferns, and other native flowers and trees. Ready for a bite to eat? Head over to Kingsland and treat yourself to a meal at Mondays Wholefoods, which features a menu centered around nourishing ingredients and artistically presented dishes. 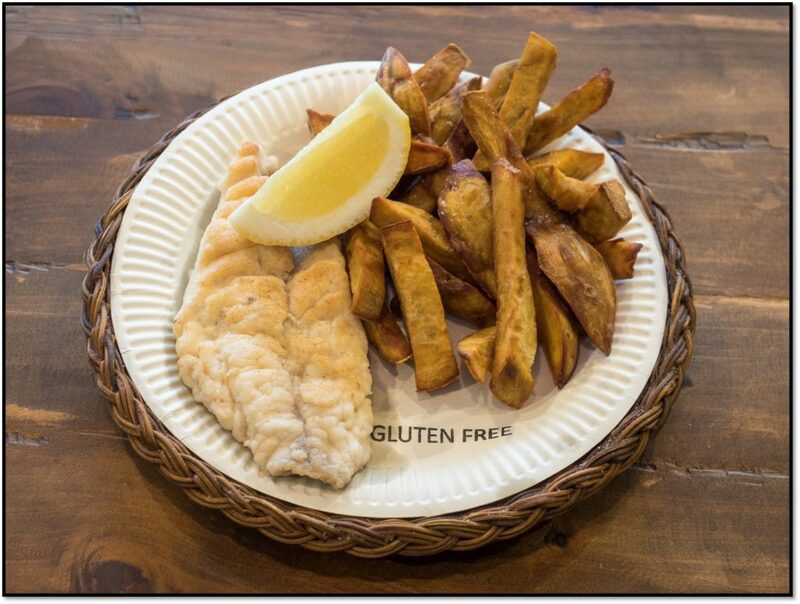 Gluten-free dishes are clearly marked on the menu, whether you’re stopping by for a late brunch, lunch or just a snack. I recommend snagging a table on the vine-covered patio and digging into a hearty dish like the eggs Benedict, which is unlike any version you’ve tried before. Mondays’ take on this brunch classic includes beautifully poached eggs, a plant-based hollandaise sauce with a surprising hint of mustard, steamed greens and a delicious cornbread base. If you’re in the mood for something a little lighter, try a smoothie bowl, a popular menu item in Auckland. 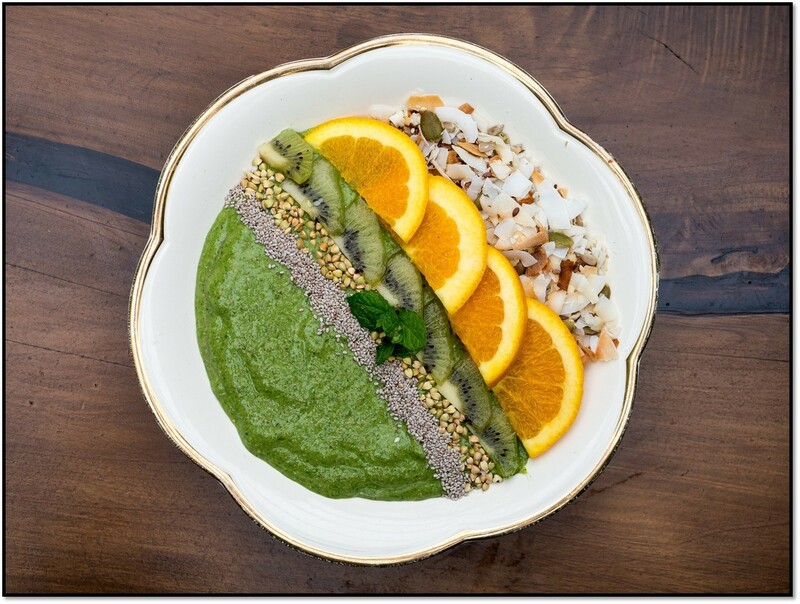 You can’t go wrong with the Unicorn Breakfast Bowl, which features an artistically arranged green smoothie base with orange slices, dried coconut and a sprinkling of seeds. As amazing as Auckland is, escaping the city for a day is essential. Fortunately, its waterfront location makes day trips a breeze. Since Auckland is within a short ferry ride of several islands that are open to the public, all you have to do is choose one with the activities you want. Take your pick of ferry trips that transport you to islands where you can hike, spot wildlife, taste wine and more. While each island offers something different, I recommend the unique experience that Tiritiri Matangi Island provides. 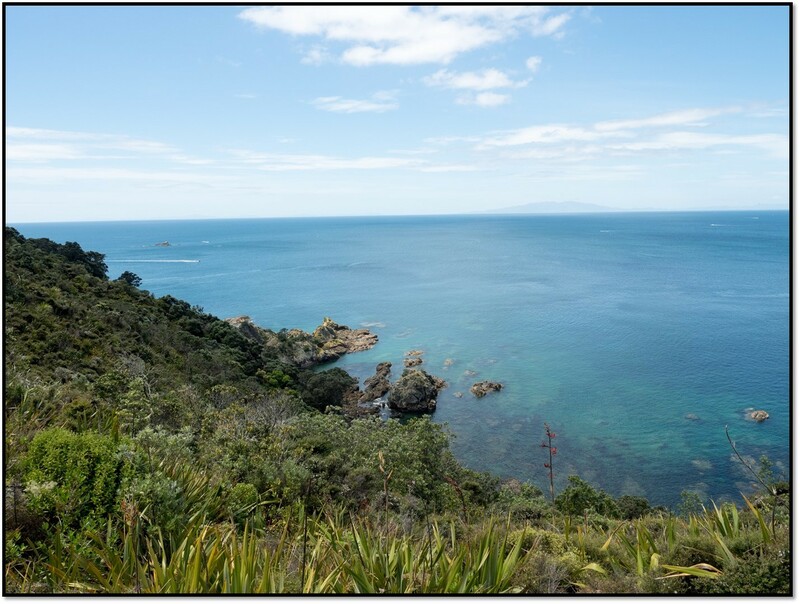 The entire island is a scientific reserve and bird sanctuary in the Hauraki Gulf, and for decades scientists have worked hard to revegetate the land and bring back native wildlife. When you take a day trip to the island, you’re likely to spot native birds like hihis, kōkakos or korimakos, which you’ll see almost nowhere else. While you can take a self-guided tour, it’s worth spending a few dollars more for a guided hike. You’ll get to hear a firsthand history of the island and learn how to train your eyes to spot the fast-moving birds. You might even get lucky and spot a pod of dolphins swimming offshore. Just a short ferry ride from Auckland, Rangitoto Island is one of the newest landmasses in the gulf. A volcanic eruption formed this island just 600 years ago, and you’ll feel hardened lava crunch under your feet as you hike to the top of the crater. Once you arrive by ferry, you can choose from several trails with varying levels of difficulty. Follow one of the less-traveled trails, and you’ll have the chance to identify up to 200 species of native plants and 40 species of ferns. If you make it to the top of the volcanic cone, you’ll also be rewarded with a stunning view of Auckland. After a long day at sea, be sure to stop by The Ancient Mariner in nearby Mount Eden. This is the ultimate spot to indulge in the area’s deliciously fresh seafood. Gluten-free diners can also rest easy here. Owners Trevor Norling and Tina Nair have perfected the art of frying and grilling gluten-free fish and seafood. Keep it simple and opt for the grilled fish of the day or a salmon skewer from the extensive gluten-free menu. Or settle in and treat yourself to an abalone (paua) fritter or my favorite, the battered New Zealand green-lipped mussels. The Ancient Mariner even has dessert covered. Top off your time in Auckland with the pineapple fritter dusted with cinnamon sugar, a gluten-free sweet you won’t find anywhere else. Auckland might look small on a map, but you’ll never run out of fascinating things to see or surprising things to do in and around this beautiful city. Grab a healthy bite to eat, smell the flowers, experience the history or hop on a ferry for a quick excursion. As I learned, no matter what you choose, Auckland easily exceeds expectations. Travel Editor Anna Sonnenberg is a food and travel writer who has journeyed around the world gluten free since being diagnosed with celiac in 2012. She launched her website, glutenfreejetset.com, in 2013.